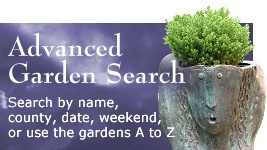 This event offers a rare opportunity to visit gardens in the adjoining villages of Ripple and Uckinghall that are not usually open to the public. Here on the Worcestershire/Gloucestershire border you'll discover an interesting mix of gardens large and small, some well-established and some new, highlights of which include the Old Rectory gardens next to the historic St. Mary's Church in Ripple and the large cottage gardens at Ivydene in Uckinghall. The church will also house a floral display. Cream Teas will be available at the Railway Inn in Ripple and light lunches will be served in Uckinghall. In addition there will be cakes available. 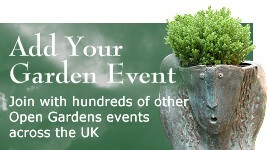 All proceeds from the day will go to Acorns Children's Hospice and the Air Ambulance. Plant stall in centre of Uckinghall village. £5.00 adults, accompanied under 15s free. Entry ticket includes car parking. 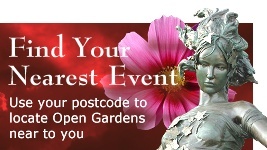 Buy tickets on the day from any open garden. Ripple and Uckinghall are off the A38 between the Upton upon Severn junction and M50 motorway Junction 1 (leave motorway and take A38 towards Worcester. Ripple signposted on left after ½ mile).